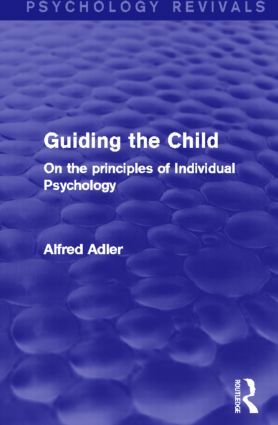 First published in 1930 this book was written under the leadership and inspiration of Alfred Adler. He and a group of physicians and educators organized 28 child guidance clinics in Vienna, Berlin and Munich in the years prior to publication. Conducted according to the tenets of Individual Psychology, these clinics revealed many new and stimulating problems that they felt were as applicable to conditions in America and England at the time as in the experimental countries. The book was designed as an organized and connected account of the problems, accomplishments and failures encountered in the daily work, reported from actual experience by the experts in charge. Adler edited the volume and assigned each subject to the specialist in that field. The result was designed to be of value to the welfare worker, the physician, and the forward-looking parent of the time. Today it can be read and enjoyed in its historical context.